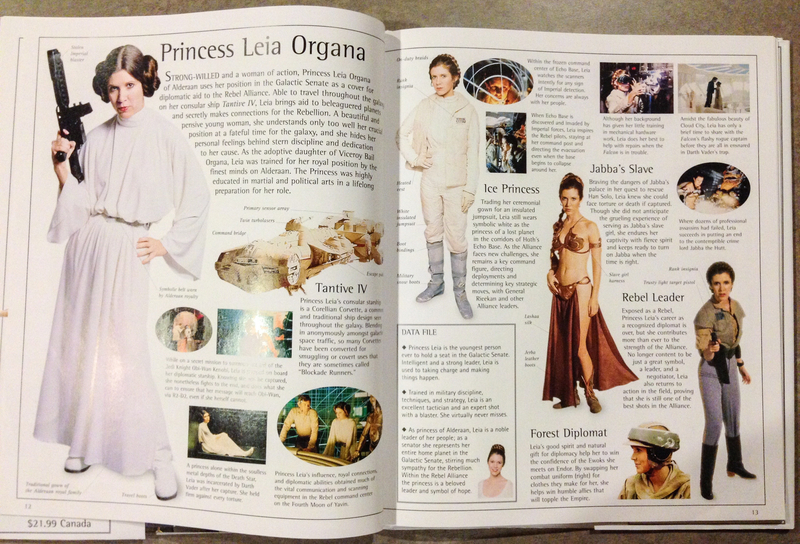 He took in the two-page profile on Leia, which includes photos of her in the various costumes she wears throughout the trilogy. Then, after a moment of careful consideration, he cracked a goofy grin and pointed to the one of her as Jabba the Hutt’s scantily clad prisoner. “I like THAT one the best,” he smiled.